Happy Halloween from The Mouse Castle! We're getting this frightfully fun party weekend started with an Inside The Mouse Castle drinking game. No, really. Thank you to our loyal listener Ben Watson for sending it to us. He's clearly caught most of our shows and apparently has way too much time on his hands. This game is not for the faint of heart (or liver), especially since we worked every element on the list below into today's show. Exercise caution and please don't drunk dial us when you're done. 1. There's an intro clip at the very beginning of the podcast. 2. A segue is attempted. 3. Anthony's dad Mike is mentioned. 4. Tim talks about Disney Infinity. 5. Anthony tries to do an impression. 6. Tim talks about a trip he took to Disney. 7. Anthony looks something up on the Internet. 8. Lady Tremaine is mentioned. 9. Marvel's future plans are talked about. 10. The phrase "Let it go" is used. There's a lot more going on in today's Inside The Mouse Castle. Some of it is even newsworthy. Oriental Land Co., Ltd., which oversees operation of Tokyo Disney Resort, will sink $4.5 billion into expansion projects over the next ten years. The biggest enhancements will appear in Fantasyland at Tokyo Disneyland and a new themed port at Tokyo DisneySea. 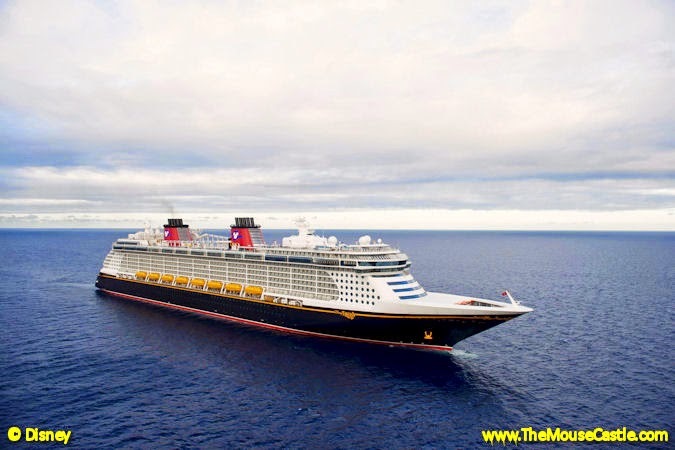 Disney Cruise Line is adding new cruises and ports of call to its 2016 itineraries. Tortola, the capital of the British Virgin Islands, will be included on select Eastern Caribbean cruises aboard the Disney Fantasy and Disney Magic. There will also be four sailings from San Juan, Puerto Rico, aboard the Disney Wonder with stops in Martinique, Barbados, Grenada, Antigua and St. Kitts. For more information, visit www.disneycruise.com. 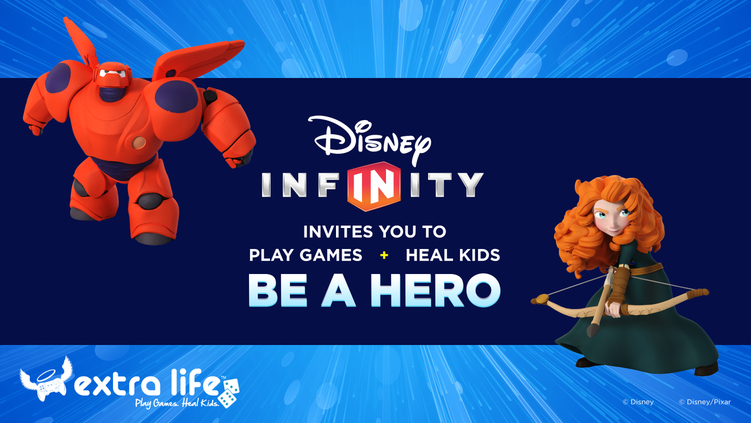 The new Disney Infinity 2.0 Toy Box Starter Pack (i.e., the Not-Marvel edition) will be released on November 4th. This weekend, however, visitors to Once Upon a Toy at the Downtown Disney Marketplace at Walt Disney World will get an opportunity to buy the game before it's released anywhere else. It's available for PlayStation, Xbox and Wii U consoles and includes the game software, Infinity base, Merida and Stitch characters and two Power Discs. Purchase it Saturday or Sunday and Once Upon a Toy will throw in an additional Disney character figure for free. 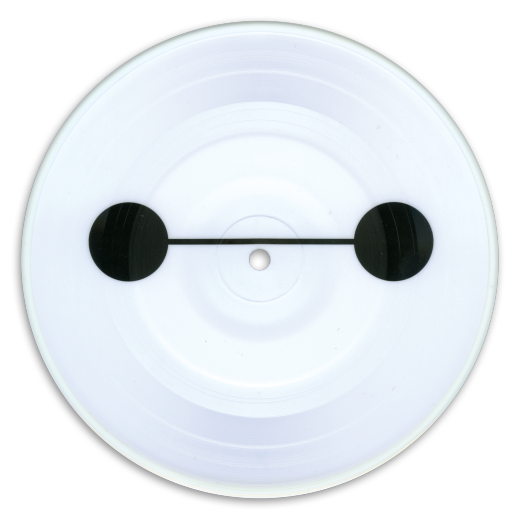 We love this 7" Baymax vinyl of Fall Out Boy's "Immortals" that's included in a special Big Hero 6 movie soundtrack bundle. You can pre-order it now at www.disneymusicemporium.com. Maleficent and Planes: Fire & Rescue come out on Blu-ray, Digital HD, Disney Movies Anywhere, DVD and On-Demand on November 4th. Anthony and I are indifferent to Planes: Fire & Rescue (okay, we haven't seen it yet), but I still have serious issues with what Disney did with Maleficent. Why can't she just be pure evil? Why does she have to have a conflicted conscience? New York's Empire Brewing Company brews a cleverly named beer called Strikes Bock. Think about that for a second. Empire. Strikes Bock. Yeah, apparently Lucasfilm isn't too pleased (although the beer is still listed on Empire's website). Oh, and one final thing. Anthony is running for mayor in his hometown. Yours too. Actually, he's running for any office anywhere anyone is willing to write him in. Please ponder that on election day. Thanks. Inside The Mouse Castle 10-28-2014 - Marvel Cinematic Universe Phase 3, Oh My God It's Amazing! 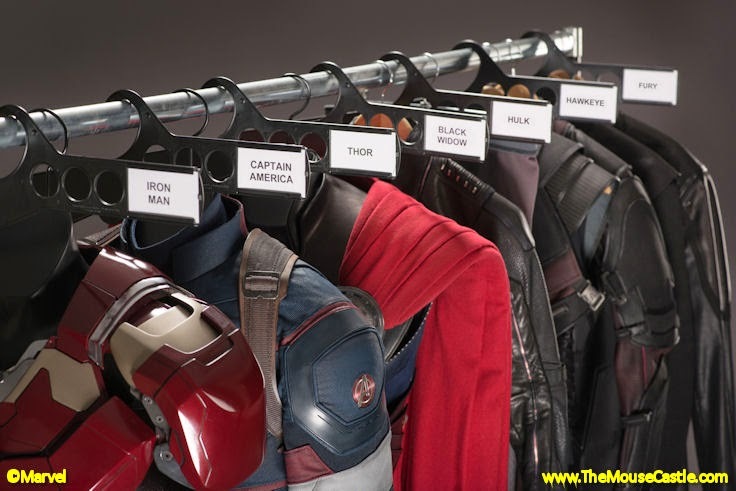 reveals (kind of) Phase 3 of the Marvel Cinematic Universe. I think it was payback for the Avengers: Age of Ultron trailer being leaked online. Marvel Studios president Kevin Feige wanted to tease us, do a little bait and switch just when we thought we had it all figured out. At Tuesday's fan and press event in Hollywood, he revealed the complete slate of Marvel films through 2019--with a fair share of misdirection. At first, we were led to believe Captain America 3 would be subtitled Serpent Society, flying in the face of all the gossip mill rumors that asserted Cap 3 would be all about Civil War. Media outlets exploded with the news and Facebook and Twitter went right along with them. Ha ha! Gotcha. We're going with Civil War after all. 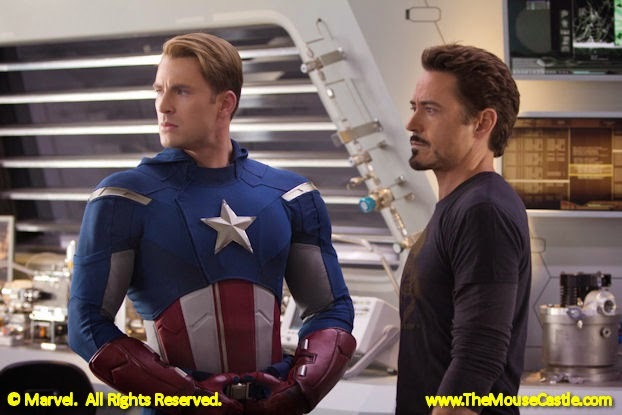 And here's Robert Downey, Jr. and Chris Evans to tell you and about it. And, oh by the way, let's introduce the character of Black Panther to the Marvel Cinematic Universe and let's bring out the guy that plays him, Chadwick Boseman (42, Get On Up). Oh yeah, he'll get his own movie in 2017. It was almost as good as the "untitled Marvel movie" scheduled for release on May 4, 2018 that turned out to be part one of Avengers: Infinity War, the first half of the epic conclusion to Phase 3 of the MCU. You Marvel folks sure know how to work up a crowd. In the latest installment of Inside The Mouse Castle, Anthony and I break down all the titles and point out the ones worth getting excited about. Hint: Black Panther will be Marvel's first African American title character, Captain Marvel the first female title character (What? you never heard about Carol Danvers?). We also discuss who didn't get their own movies (Black Widow, Hulk), but will still play critical roles in the upcoming films. If Marvel can finger its fictional terrorist group for leaking the trailer for Avengers: Age of Ultron six days early, then we can blame them for the technical issues that kept Tuesday's Inside The Mouse Castle off the air until tonight. Actually, it was a wonky HP laptop that caused our podcast problems. 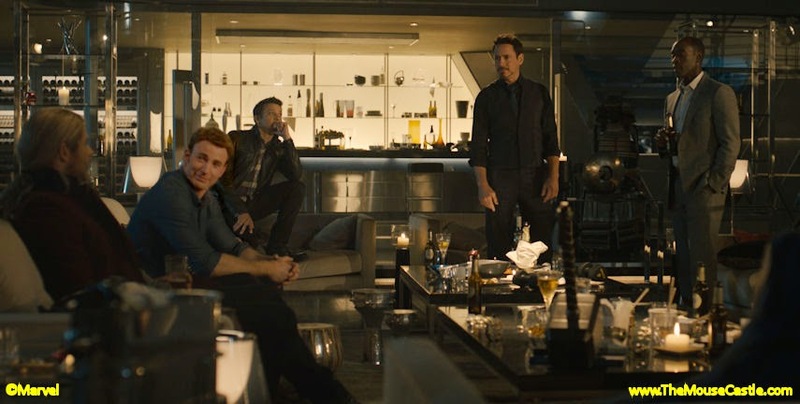 Who knows what nefarious force made the Internet explode with glee when the new Avengers trailer found its way online? Entertainment websites everywhere posted the lo-res video before Disney and Marvel quickly slammed the door on the leak. But, since nothing online is ever really deleted once it goes viral, Marvel had no choice but to release the official trailer well before its scheduled TV premiere on next Tuesday's Agents of S.H.I.E.L.D. For our part, you won't hear anything about the leak in today's ITMC. Anthony and I recorded the show well before the story broke. Rest assured, we'll be talking about it plenty on Friday's show. Robert Downey, Jr. and Don Cheadle in Avengers: Age of Ultron. 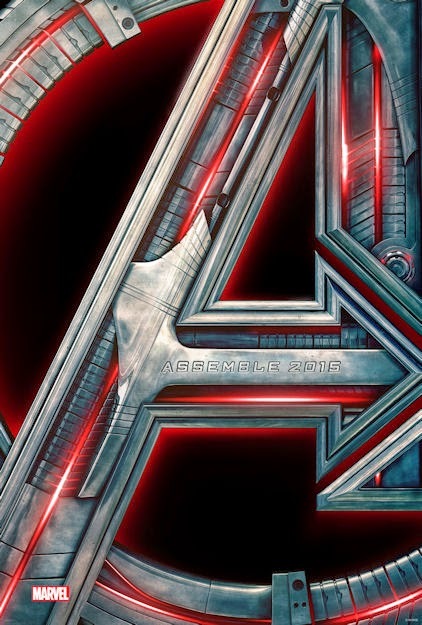 And so, here's the trailer for Avengers: Age of Ultron in all its intense, epic, superhero glory. WOW!!! Moana, an adventure set in the oceans of Polynesia, is Walt Disney Animation Studios newest project. John Musker and Ron Clements (The Little Mermaid, Aladdin) are directing the film which is due for release in late 2016. What's better than listening to the Guardians of the Galaxy Awesome Mix Vol. 1 on CD or vinyl? How about listening to it on cassette, just like Peter Quill intended? Keston Ott-Dahl and her wife Andrea have a young daughter with Down Syndrome. They've started an online petition to ask Disney to create a special needs princess their daughter and others like her can relate to. Do we think it will succeed? Probably not, but it's not a bad way to raise awareness of Down Syndrome. For more info visit www.delaneyskye.com. 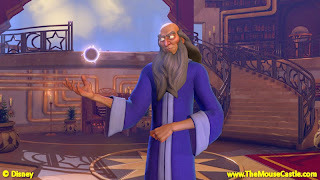 Disney Fantasia: Music Evolved is an imaginative and beautifully rendered video game that cleverly interacts with all styles of music from classical to contemporary pop. It's available now for Xbox One and Kinect for Xbox 360. Start some good and support the restoration of the Walt Disney Birthplace, the Chicago home built by Elias Disney where his son Walter was born. To contribute to the cause, visit www.startsomegood.com/WDB. The Shoal: Disney Fantasia: Music Evolved's underwater realm. Scoring points in the Capsule. Harmonix is the company behind the popular video game Rock Band and they also had a hand in the early development of the ubiquitous Guitar Hero. Disney Fantasia: Music Evolved owes much to both of these games, but to its credit never feels old. You "perform" songs controller-free, scoring points and activating remixes through a series of hand and arm gestures that suggest a conductor leading an orchestra or, if you're so inclined, Mickey Mouse controlling the heavens as the Sorcerer's Apprentice. 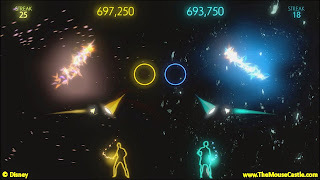 The better your moves sync to the on-screen cues, the better you score and the more songs, instruments and mixes you unlock. Yen Sid introduces you to the magical Muse. There are over 30 songs to choose from by a wide range of artists including Bruno Mars, Queen, Fun, Kimbra and the Police. Of course, there are also the classical pieces that make the game such a well-rounded experience. At its heart it celebrates all music and reminds you not only where music came from, but what's possible today with sound fundamentals and a solid dose of creativity. That's heady stuff for a game that could have just been a greatest hits collection. Instead Disney Fantasia: Music Evolved reveals behind the fun a higher goal of enlightening and exciting the music fan in all of us. You can, of course, bypass the objectives and story line by choosing "Party Mode" in the Options menu, which automatically unlocks all the songs and mixes. I preferred taking the longer path and playing my way through the entire adventure. Aside from being more personally engaged, I thought it was a great way to broaden my granddaughter's musical knowledge. I highly recommend the two-player mode. Disney Fantasia: Music Evolved is available today on Xbox One and Kinect for Xbox 360. We love our rumors here at The Mouse Castle. Marvel's Dr. Strange rumors, Pirates of the Caribbean rumors, even Pete's Dragon rumors (no, really). We've got them all and more in this edition of Inside The Mouse Castle. DC announced a slate of new films that will go head-to-head against the Marvel Cinematic Universe at least through 2020. Will moviegoers care as much about Superman, Batman and the Justice League as they do Iron Man, Captain America and the Avengers? Or is this all superhero overkill that will soon burnout audiences? Deadmau5 turned up the heat in his trademark dispute with Disney. The music producer and performer otherwise known as Joel Zimmerman says Disney approached him about writing music for Star Wars Rebels and a proposed Fantasia remix album even as Disney Legal was preparing to take action against him. Deadmau5 performs wearing an oversized helmet that Disney says is way too similar in style and appearance to Mickey Mouse. Disney is putting their time and money behind ten start-up companies through the Disney Accelerator program. The companies, mostly in the tech and gaming sectors, just completed a 15-week mentorship program that could result in ongoing partnerships and even acquisitions by Disney. Flamingo Crossing, a new hotel, dining and entertainment complex, recently broke ground on the west side of Walt Disney World property. Is this finally the harbinger for a long-rumored fifth gate at the resort? Anthony and I think this is probably the same old tired rumor we've been hearing for years. There's nothing like getting serenaded by the Dapper Dans as you fly to Walt Disney World. Disney pulled out all the stops for passengers aboard Southwest Airlines' inaugural non-stop flight from Dallas' Love Field to Orlando. It's not a surprise that Hiro and Baymax will soon be doing character meet-and-greets at Disneyland and Walt Disney World, but we're very pleased to learn that the Big Hero 6 heroes will be taking up residence in space adjacent to Disneyland's under-utilized Starcade in Tomorrowland. We weren't certain as we were preparing the show, but now we know the new Disney Kingdoms comic book series published by Marvel will be all about Big Thunder Mountain Railroad. It's set for release next spring and it's sure to be a hit with fans of Disney Kingdoms' previous Seekers of the Weird series. 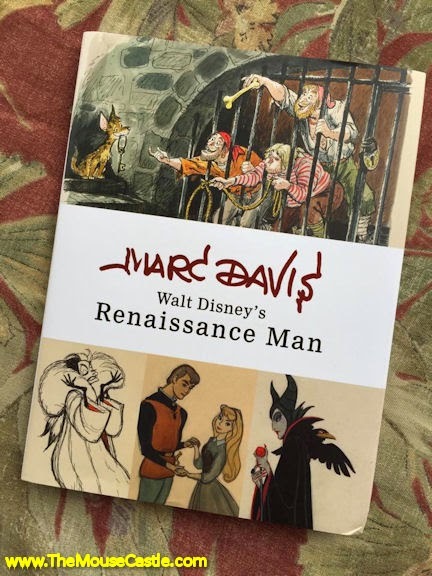 If there is one new book to add to your Disney collection, it's Marc Davis: Walt Disney's Renaissance Man. It's an incredibly rich collection of art by the late Disney animator, who besides being one of Walt's Nine Old Man and bringing Tinker Bell, Maleficent and Cruella de Vil to life was a gifted Imagineer who lent his immense talents to the development of Pirates of the Caribbean, the Haunted Mansion, it's a small world and the Jungle Cruise. The book contains insightful essays about Davis by the likes of Don Hahn, Andreas Deja, Glen Keane, Pete Docter, Mindy Johnson and Paula Sigman Lowery. You need this. Ashtrays from Disneyland and Walt Disney World. Back in less enlightened times, when smoking was still socially acceptable and there was such a thing as a tobacco shop on Main Street, USA, you could buy cigarettes, pipes, tobacco and smoking accessories at various locations throughout Disneyland and Walt Disney World. For Throwback Thursday I offer these ashtrays from the parks which have been in my family since I was a kid. New York World's Fair ashtray, 1964. Disneyland glass ashtray picturing Sleeping Beauty Castle, check, but what's with the New York World's Fair? Given Disney's close association with the Fair--Great Moments with Mr. Lincoln, it's a small world, the Carousel of Progress and Ford's Magic Skyway were all Disney-built attractions there--a selection of World's Fair souvenirs could be purchased at Disneyland. My parents bought both of these ashtrays in the park in 1964. Visitors to Flushing Meadows, NY, where the Unisphere and Rocket Thrower statue still stand today, will notice the Rocket Thrower is facing the wrong way. In real life he faces the opposite direction, turned towards the Unisphere. This was a common artistic liberty seen on World's Fair art and souvenirs. Perhaps the artists thought this view was more pleasing or dramatic. Finally, there's this glass ashtray from Walt Disney World that could easily accommodate multiple cigarettes and cigars. It could also double as a candy dish. It was purchased by my mom in 1978 on our first family trip to Florida. Around a central image of Cinderella Castle are pictures of an Osceola-class steamship cruising Bay Lake, it's a small world, the Hall of Presidents, the Jungle Cruise, Main Street, USA and the Monorail at the Contemporary Resort. Walt Disney World ashtray, 1978. The Main Street Tobacconists have long since vanished, closing at Disneyland in 1991 and at Walt Disney World's Magic Kingdom in 1985. Smoking in the parks is largely frowned upon anymore, limited strictly to select outdoor locations. 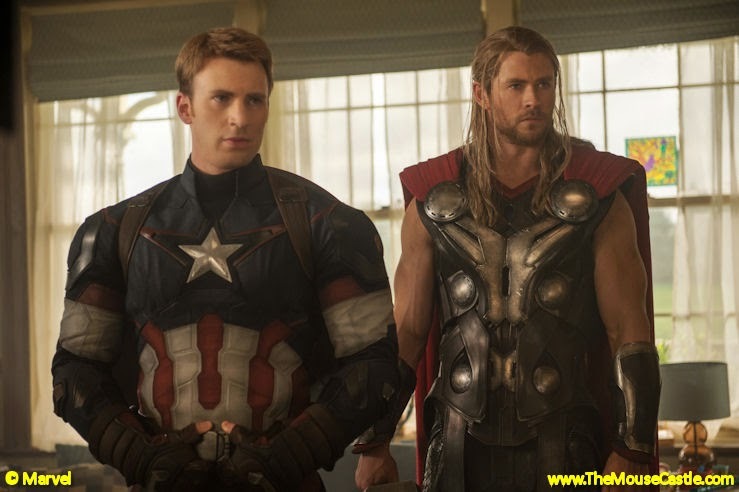 battle each other in Captain America 3? In the latest Inside The Mouse Castle, Anthony asked me if I was tired of all the Iron Man 4 rumors. I told him, "I'm tired of them until the next one comes along." And the next one was a doozy. Forget all the speculation about Iron Man 4. How about Tony Stark jumps feet first into Captain America 3? If the rumors are correct, Cap 3 will be the point where the Marvel Cinematic Universe begins following the Civil War story line told by Marvel comics from 2006-07. It will put Steve Rogers and Tony Stark on opposite sides of an initiative requiring all superheroes to register with the federal government--with tragic results. It will be a dark turn for Marvel movies, and we're talking about it Inside The Mouse Castle. Guardians of the Galaxy opened in China to impressive business and is closing in on $700 million mark in worldwide box office. Meanwhile, a GOTG animated TV series is planned for Disney XD in 2015. Anthony and I review Alexander and the Terrible, Horrible, No Good, Very Bad Day starring Steve Carell and Jennifer Garner. It's not horrible. Disney Channel has made a deal with the very successful YouTube multi-channel network Maker Studios to bring its stars to the cable network. Disney paid $500 million for the online network earlier this year. 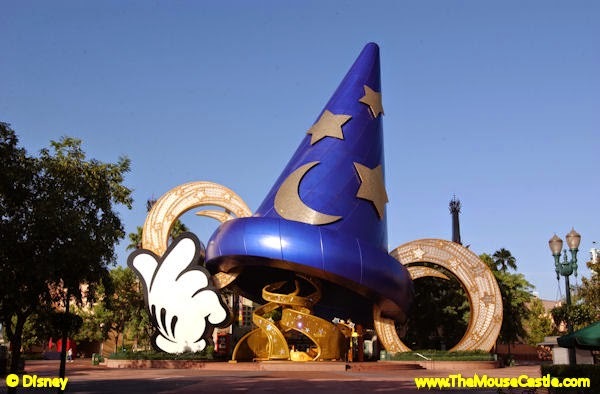 Is the massive Sorcerer Mickey hat that's blocked the view of the Chinese Theater at Disney's Hollywood Studios for years going away? It's missing from new park maps being circulated in Central Florida. We can only hope. It's the 50th anniversary of the Disney Ambassador program. Congratulations to then newly named ambassadors for 2015-16: Caitlin Busscher and Nathanial Palma at Walt Disney World and Jessica Bernard and Allie Kawamoto at Disneyland. 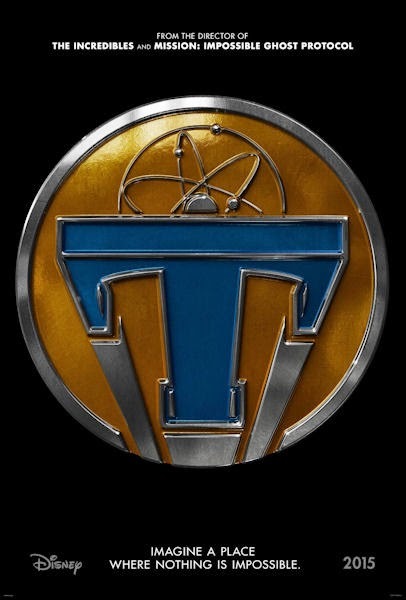 I can't think of a movie we're more excited about right now than Brad Bird's Tomorrowland. At New York Comic Con on Thursday, attendees got a taste of this cryptic and futuristic adventure with a first look at the teaser trailer and a scene from the film. In this special, extended episode of Inside The Mouse Castle, Anthony and I--with a big assist from our good friend Ron in New York--break down what the enthusiastic audience got to see, what we think it all means and why you should be just as excited as we are. Big Hero 6 was also in the spotlight, showing off a two minute sizzle reel that gave us a better look at our hero Hiro's mad robotic skills, as well as the talents of his cohorts Honey Lemon, GoGo, Wasabi and Fred. We also saw a hint more of the evil capabilities of the mysterious man in the kabuki mask. Of course, the inflatable Baymax is as cute, cuddly and helpful as ever. Robert Downey, Jr. is just messing with us now, telling Ellen DeGeneres Iron Man 4 is a go, then telling David Letterman its not. It's all getting a bit tiresome, all these rumors, cryptic comments and denials, but damned if we aren't fascinated by the whole game. A couple of things we do know: the Marvel Experience, a traveling roadshow of superheroes and super villains, starts a four-city tour in Phoenix on December 12th. We're also looking forward to Marvel 75 Years: From Pulp to Pop!, a one-hour documentary debuting on ABC November 4th. Aside from some pretty cool history, we're also hoping for sneak peeks at Avengers: Age of Ultron and Ant-Man. Star Wars Rebels: Spark of Rebellion is making the jump to ABC on October 26th, in case you missed it on Disney Channel and Disney XD. As an added bonus, James Earl Jones will voice Darth Vader in a cameo not previously shown on the cable channels. Download the free Blippar app for iOS and Android, then use it to scan the Star Wars Rebels logo below. Just do it. Seriously. It's super cool. Fan-made and Lucasfilm approved, The Empire Strikes Back Uncut is the ultimate fan love letter to the very best of the Star Wars films. Culled from over 1,500 15-second film segments submitted by amateur filmmakers and animators, it's a shot-by-shot re-creation of when things got really bad for the rebellion. We also love it because it heralds the return of the Star Wars Fan Film Awards. Details on that popular contest, which disappeared in 2012, will be revealed later this month. A free demo download of Disney's new video game Fantasia: Music Evolved is now available on Xbox One and Xbox 360. So far, I think it's a pretty good interactive music game that evokes the best elements of Guitar Hero and Just Dance with a potentially better Disney-centric story line. It definitely makes me want to get my hands on the full version of the game when it launches on October 21st. "What if there was a place, a secret place, where nothing was impossible?" asks Frank (George Clooney) to troubled teen Casey (Britt Robertson). "You wanna go?" Hell yes, Frank. We wanna go! The new trailer for Disney's Tomorrowland will give you chills. It's directed by Brad Bird (The Incredibles) and stars Clooney, Robertson and Hugh Laurie. Disney describes it as "a danger-filled mission to unearth the secrets of an enigmatic place somewhere in time and space." It opens in the U.S. on May 22, 2015. We can't wait! Didn't make it to New York Comic Con this weekend? Even worse, can't make it to today's Walt Disney Studios presentation featuring Big Hero 6 and Tomorrowland with panelists Brad Bird, Damon Lindelof, Chris Williams, Roy Conli and Don Hall? Well, here's a little taste of Big Hero 6: the sizzle reel shown to Con attendees. We're loving this movie more and more with each new preview. It opens on November 7th. Steve Carell, Jennifer Garner and Miguel Arteta. Disney's latest family comedy is the lengthily-titled Alexander and the Terrible, Horrible, No Good, Very Bad Day. Based on the children's book by Judith Viorst, it's the story of an otherwise normal, well-adjusted family that has, well, a terrible, horrible, no good, very bad day. Comedic complications ensue. The movie had its world premiere at the El Capitan Theatre in Hollywood Monday night leading up to its opening in U.S. theaters this Friday. In the latest episode of Inside The Mouse Castle, we'll be on the red carpet hearing from cast members including Steve Carell and Jennifer Garner. The Avengers 3 rumor train keeps barreling forward--and that was even before Robert Downey, Jr. confirmed to Ellen DeGeneres that he's coming back for Iron Man 4 (we knew it all along; we were just waiting for an official word). Toy Story Mania at Disney's Hollywood Studios at Walt Disney World is going all FastPass + this week to test guest traffic and ride capacity. Fanboys are in an uproar, but we're not quite sure why. We're hearing that Disney is installing a third TSM track next year--a FastPass+ only track--and needs to do a little R&D in the field. The new Memento Mori shop at Walt Disney World's Magic Kingdom is open for business with all manner of Haunted Mansion merch. Can't get there in person? The HM page at DisneyStore.com will have you dying to join them. 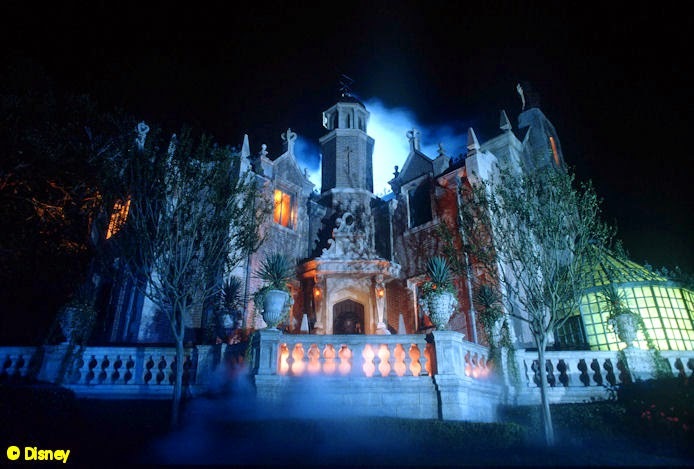 If owning a Mansion memento isn't enough, how about having a party with the grim grinning ghosts, then spending the night in a spooky Cinderella Castle? Walt Disney World is having a photo contest and is giving away just that. All you have to do is show your haunted Disney side here. Contest ends on November 4, 2014. Disney is pumping over a billion dollars into Disneyland Paris to help refinance the struggling resort. This is the second time in three years Disney has upped the cash flow. Is this a sign that Disney will increase their 40% stake in the French property and buy it outright or are they just applying a Band-Aid to buy time? 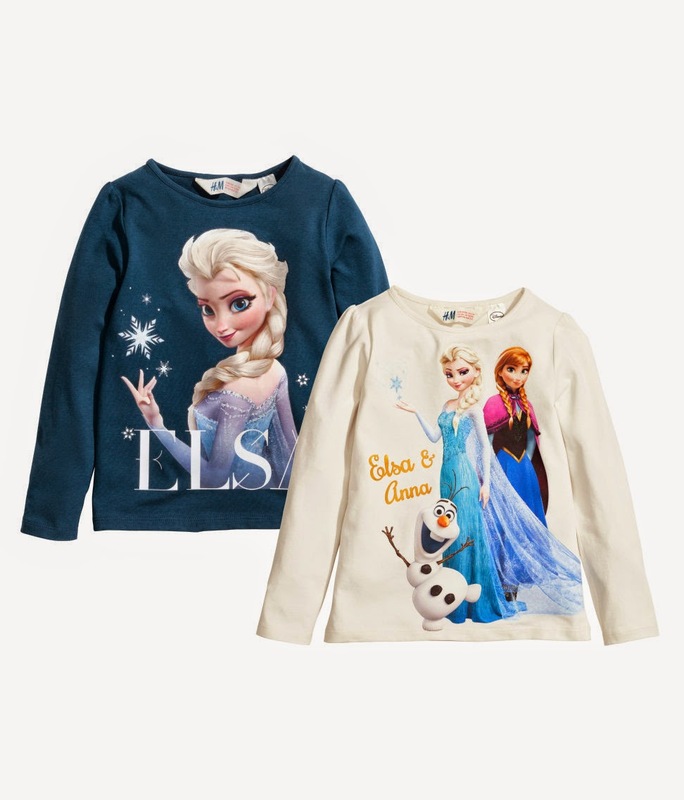 Does your child need a Frozen makeover? Anna & Elsa's Boutique at Disneyland's Downtown Disney is now open for business. Future proceeds will probably bail out Disneyland Paris. If you're a fan of Disney video games, twenty retro console games have launched on Steam that you can download to your PC for 10% off through Sunday. I'm kind of partial to LEGO Pirates of the Caribbean, Alice in Wonderland, Toy Story 3, and--if you can get past the wonky game play and just enjoy the amazing graphics--Epic Mickey: The Power of 2. 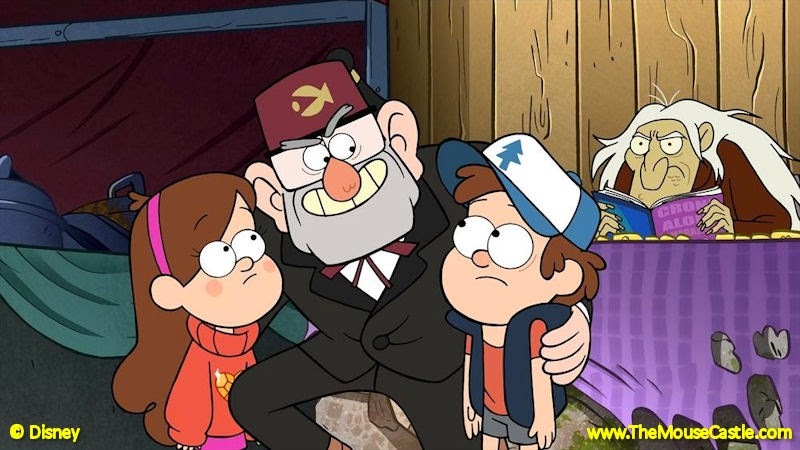 Gravity Falls is my favorite show on any of the Disney channels right now and their newest Little Gift Shop of Horrors episode may be the best one of the series. It pays clever tribute to special effects master Ray Harryhausen and even has Neil deGrasse Tyson voicing Mabel Pines' suddenly erudite pig, Waddles. If you've never seen the show, it's a great introduction to the strange goings-on in the mysterious Oregon town. It looks like Luigi's Flying Tires will be flying out of Disney California Adventure come January. We've always loved the concept of the ride as an homage to the long gone Flying Saucers at Disneyland in the 1960s, but found the ride itself less than user friendly with difficult to maneuver ride vehicles. Luigi's Flying Tires in 2012 when beach balls made the ride fun. Disney and Amazon have apparently made peace over the pricing dispute that quashed pre-order home video sales, most notably September's release of Captain America: The Winter Soldier on Blu-ray. Visit Amazon now and both Guardians of the Galaxy and Maleficent are available for pre-order. There's a lot to like about the new teaser trailer for Pixar's Inside Out, which is both a nostalgic trip through Pixar's movie past and a charming intro to its most original idea in years. Are all those rumors about Star Wars: Episode VII helping or hurting the film? Casting and plot point leaks (and outright falsehoods) abound and some media sites (including this one) are pledging to keep legitimate story reveals as spoiler-free as possible. At Marvel, Robert Downey, Jr. has said (again) that he kinda sorta probably will keep playing Iron Man as long as he needs to. To quote, "I'm sure we'll ride that thing. You've got to surf that thing all the way into shore." Make what you will of it. It sounds like he'll be around past his current contractual obligation for the second and third Avengers films. We're still keeping hopes high for Iron Man 4. Meanwhile, Joaquin Phoenix is definitely out for the title role in the upcoming Dr. Strange film, but Dominic Clark is definitely in to reprise his role as Tony Stark's dad in next year's limited TV series Agent Carter. We love this imaged mapped Walt Disney World wedding cake. That is all. Disney's Aladdin on Broadway is going international next year. The Tony Award-winning musical will open in Tokyo with a Japanese cast next May. Need to pay more money to get more Frozen? For the First Time in Forever: A Frozen Sing-Along Celebration will run most nights through the holiday season at Walt Disney World beginning November 7th. Eighty-nine bucks (on top of your park admission) will get you into the private dessert party at Disney's Hollywood Studios. Call (407) 939-1854 for more details. Basketball superstar LeBron James will produce a sports-themed television series geared for younger viewers to be seen on Disney XD. Becoming will spotlight inspirational stories from the sports world and will be released through ESPN Films and James's own Springhill Production Company. The first episode debuts on October 26th.